If you want to try something fun with the kids this is it! 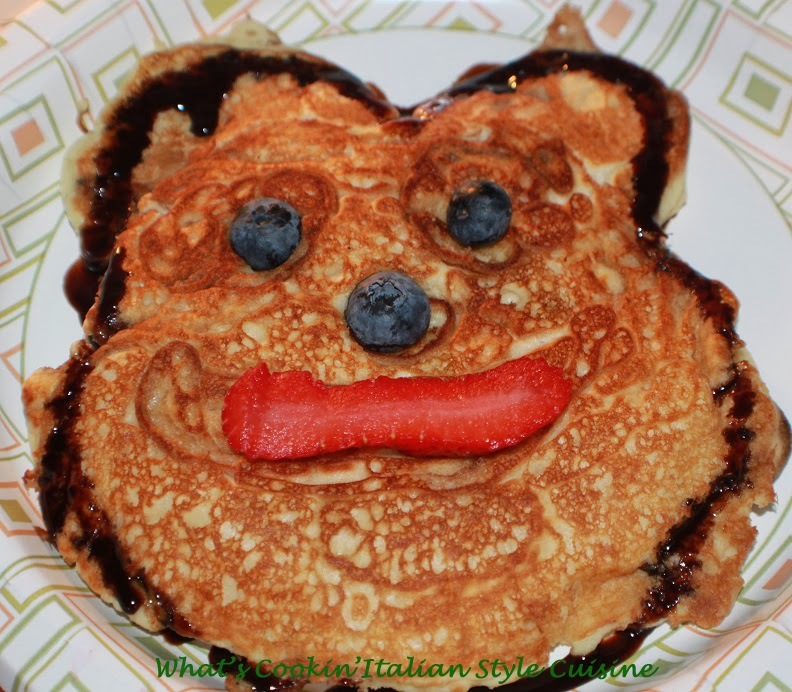 I have been exploring with fun foods in the kitchen. Not only does it make a great experience for your family but lasting memories in time. They sure grow up fast don't they? Well then make every moment count. 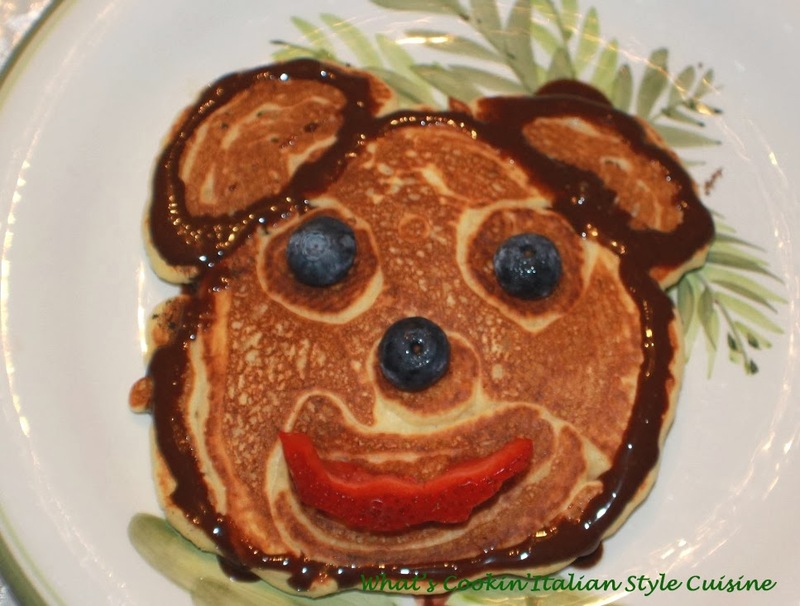 Here is a quick and easy way to add that smile on any childs face and make them remember forever how much fun it was to. Cooking doesn't have to be hard or a chore. Have fun! The best way to see how this is done is by watching my Youtube video below and don't forget to subscribe lots more coming ahead! Chocolate syrup to decorate the outer part of the face. I am sure you can use your own imagination to fill in the face with fruits and other healthy toppings. Now no two will come alike as you can see below but that's ok they are all unique! 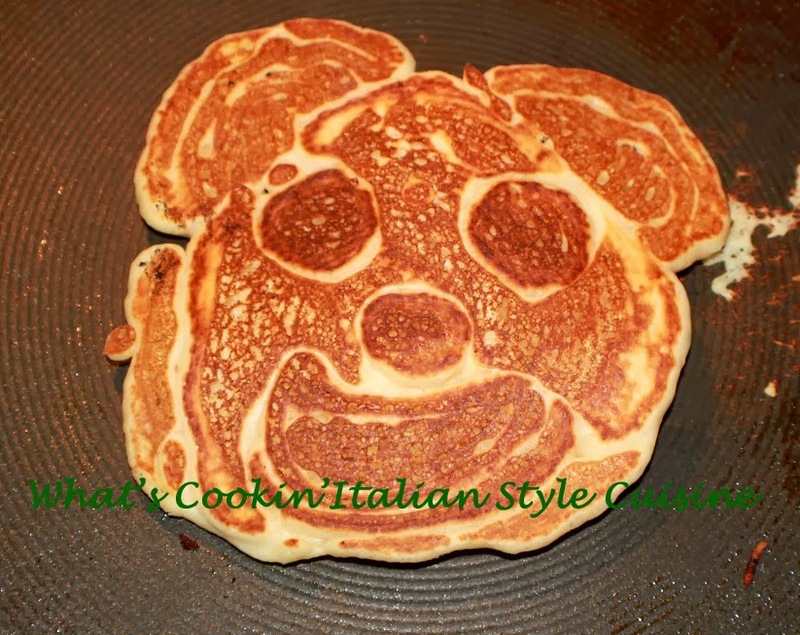 Well that it just make your batter and watch the video on how to make these cute pancakes and see their little faces light up with excitement! +claudia lamascolo Author Dont forget to subscribe to my Youtube Channel! In a large bowl, sift together flour, salt, baking powder and sugar. In a small bowl, beat together egg, milk oil, vanilla and lemon juice. Stir into flour mixture.